← Project Haystack: a Boon to Bringing Order to Group Address Naming Conventions? During the deep financial crisis in 2013, the residential sector in Spain dropped by around 60 – 70%. The commercial sector also decreased a little, but by far not as dramatically as the residential sector. Now, the residential sector is growing again, and buyers are looking for value for money, new designs, quality and homes which are environmentally-friendly. The commercial property market fared better than the residential market in Spain in recent years, although the residential sector is growing again. Spanish developers and integrators understand the environmental credentials of KNX very well, and KNX is without doubt the leading HBES (Home and Building Electronic Systems) technology in Spain, both in the residential and commercial sector. The popularity of KNX is highlighted by the fact that there are more than 7000 KNX Partners in Spain, and a lot of technical schools, apart of the certified KNX training centres, use KNX for educational purposes. There are also a lot of KNX projects in Spain, including the El Prado museum in Madrid, the Camp Nou football stadium in Barcelona, various showrooms, headquarters, hospitals, care centres and factories. El Prado museum in Madrid uses KNX for lighting and HVAC control. There are also numerous residential KNX installations, including villas, apartments and homes for assisted living. In addition to lighting control, the automation of ventilation, air-conditioning and shading are among the most popular features of KNX, since the climate in Spain is warm. Indeed energy-saving is a huge benefit of KNX, and in Spain, we have exploited this in creative ways. 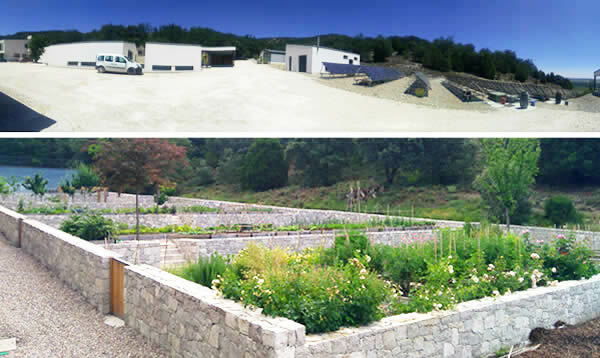 For example, a self-sufficient experimental farm in Valladolid uses KNX to take advantage of natural resources. The farm generates its own electricity, converts rainwater or well water into drinking water, and has automated lighting, air conditioning, irrigation and ventilation. The self-sufficient farm in Valladolid uses KNX to automate numerous functions including irrigation. Although KNX is very popular in Spain already, particularly at the luxury end of the residential market, there is still room for growth, especially in the mid-size home sector. KNX Spain celebrated its 25th anniversary last year. It was set up by twelve KNX manufacturers, most being multinational companies. We are an ‘open’ association that welcomes manufacturers, distributors, integrators, installers, media etc, and now we have 75 members. The most important activity for us is the Matelec fair that takes place every two years. 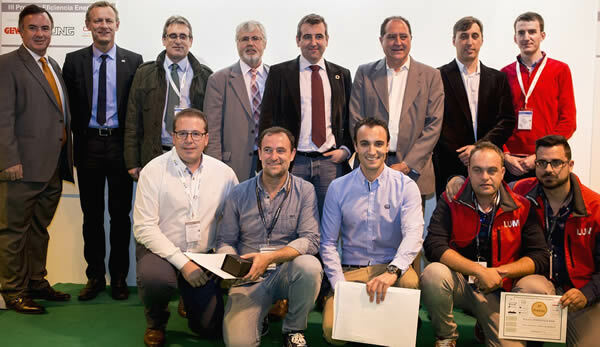 In 2018, KNX Spain occupied a 700m2 area at the fair. Members of KNX Association and KNX Spain at the III Energy Efficiency Awards ceremony at Matelec 2018. In the years between, we organise the ‘Smart Technology Forum’, together with an associated partner. This year the Forum will be in Barcelona and dedicated to voice assistants, such as Amazon, Google and Apple for the smart home. We also organise several webinars, and participate in local congresses related to smart homes, buildings and cities. One such example was EFICAM 2019. Aimed at installers in the Madrid area, this took place at the end of March where the focus was on cyber security of KNX installations, as well as the connectivity of KNX with the IoT world. There are many benefits to joining us, including a large number of possibilities to promote your company free of charge, whether it be via the KNX Newsletter Spain, the KNX Journal, our website, participation at fairs, etc. For those interested, full contact details can be found at our website below. Michael Sartor is the Technical Secretary of KNX Spain.